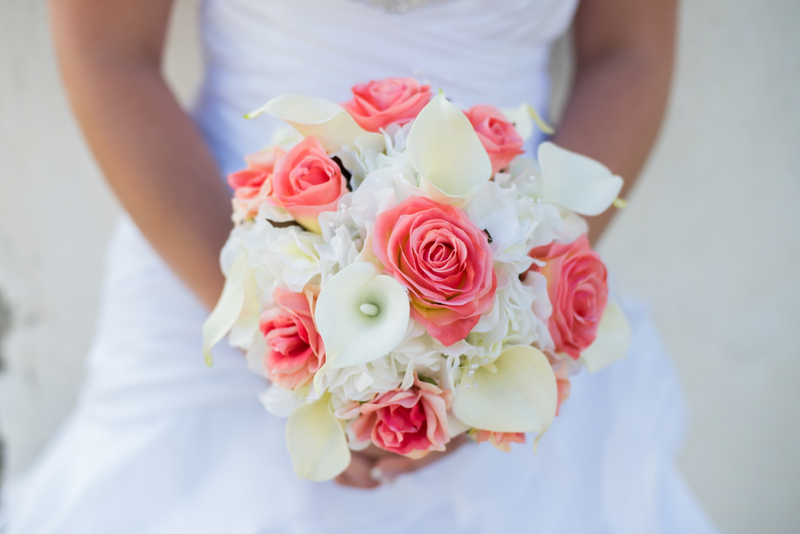 An elegant coral wedding bouquet designed with 12 white real touch calla lilies, pretty coral roses, on a bed of creamy white hydrangea, pearl loops throughout. 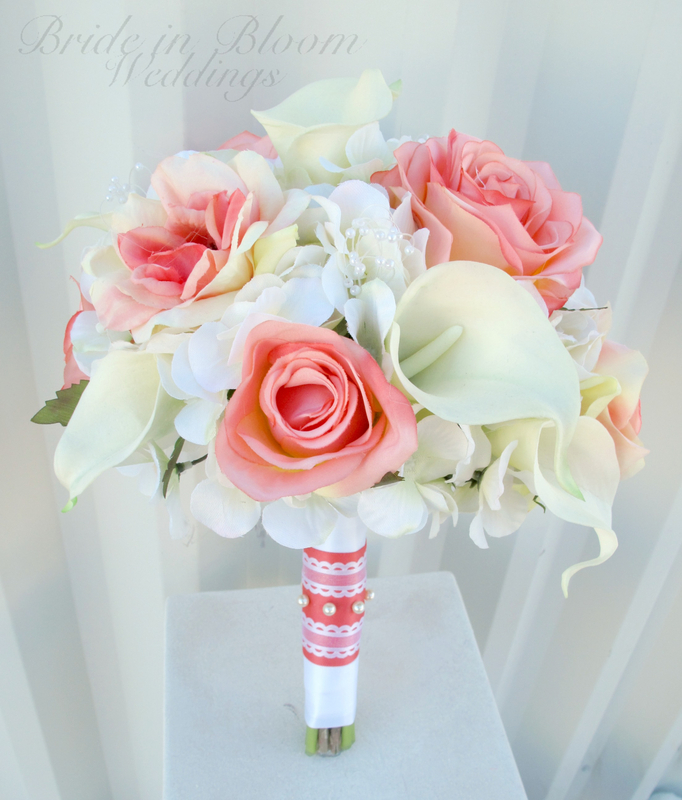 Handle treatment is wrapped with white & coral satin ribbon with a white lace sash & pearl pins to finish. 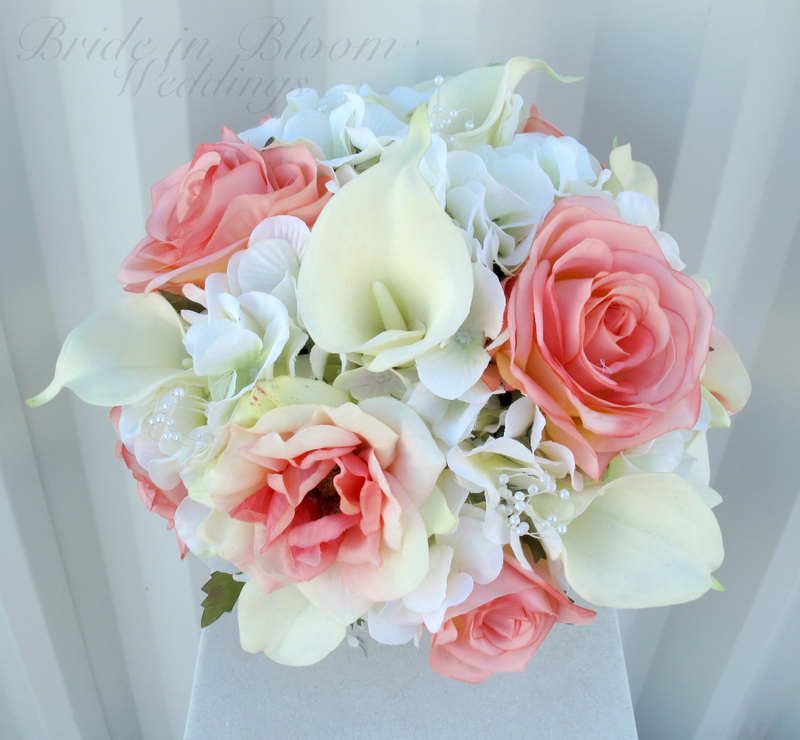 Pictured bouquet measures: 10" ( 25 cm ) wide x 12" ( 30 cm ) tall. 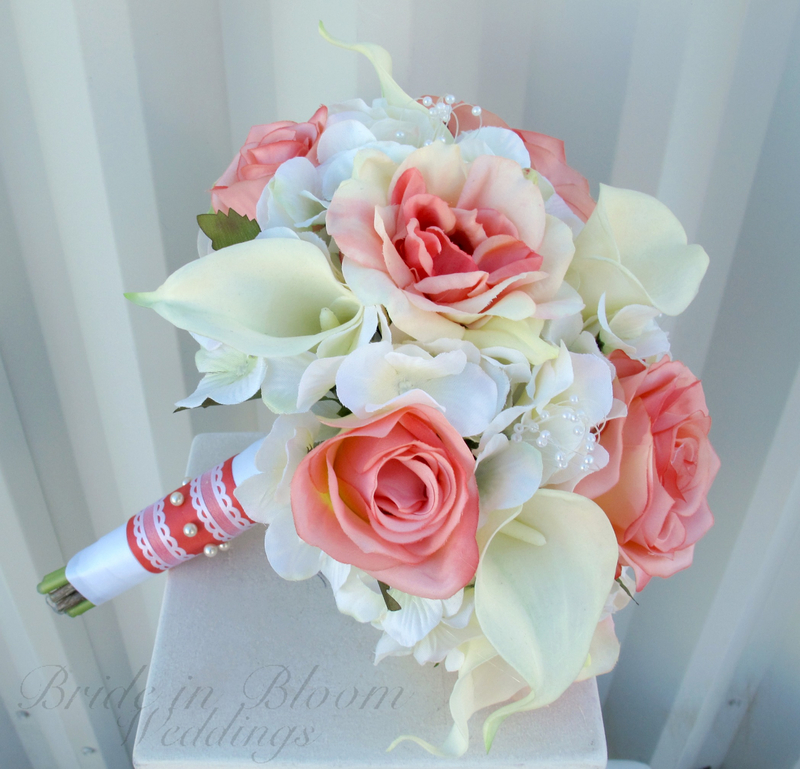 All bouquets & accessories are Bride in Bloom Weddings original designs, using only the finest quality silk, soft touch & real touch flowers. If you require a complete wedding party package, or love the design but need a few changes, please contact me with the details, I welcome custom orders & would be happy to put together a package for you. Packaging ~ Your wedding items are carefully packaged to ensure no damage occurs while in route to your destination. 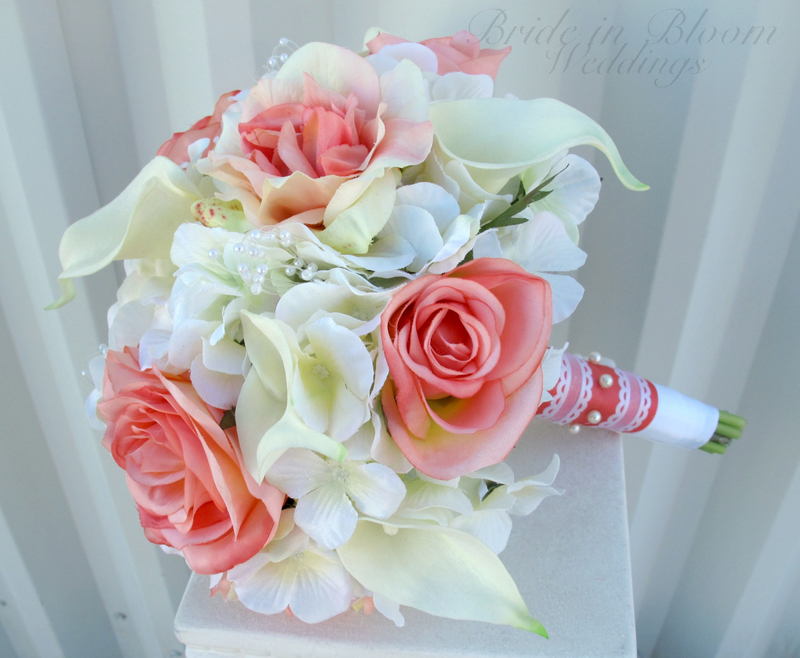 Bouquets are wrapped in tissue & placed in a protective bouquet sleeve. All boutonnieres & corsages are packaged in their own protective corsage / boutonniere boxes. Wedding flower balls are individually wrapped in protective tissue & wedding hair accessories are professionally packaged. Distributing & duplicating is strictly prohibited.